Trek or Walk for Jubilee House whilst taking in the breathtaking, scenic views walks we have to offer. Whether you decide to crawl, walk or even jog every mile counts and you will sure be making a difference to the lives of the people we support. TrekFest is the UK’s ultimate trekking challenge. Take on the epic walk through open countryside in the Peak District National Park, Derbyshire, walking side by side with hundred of other like-minded individuals with one goal in mind – to cross the finish line. Taking on TrekFest is by no means a walk in the park – it’s tough and set to challenge you, by pushing you further, beyond your limits – both mentally and physically. With 25K or 50K options available to walk, or even run, it’s a great event for individuals looking for a challenge or corporate teams seeing that ultimate sense of achievement. Book your place today for this memorable challenge. A stunning route with scenery that’s steeped in history, and a superb backdrop for a festival of river-side challenges – with 3 unique events to join! Join the Main Thames Path Challenge – 100km from Putney Bridge to Henley or on either 50km Half Challenge, or a quarter section. Most will walk at their own pace, some will jog and quite a few will run the whole course! Or perhaps the Thames Bridge Trek – 25k from Putney Bridge through the heart of Central London zig-zagging over 16 historic bridges, and a finish beyond Tower Bridge. On Sunday 9 September, it’s The Henley10K for all the family to enjoy down by the river. The riverside location makes for a great ‘Mini Challenge’, with a family fun day at the start and to finish a delicious BBQ for all to enjoy. Perhaps you’ve already chosen your challenge or gained your own place in a marathon or other event. Whatever you are doing, we’d love to hear about it so that we can welcome you to Team Jubilee House and support you every step of the way. We have a Fundraising Pack, as well as branded T-Shirts and other resources to help you raise as much as possible for Jubilee House. 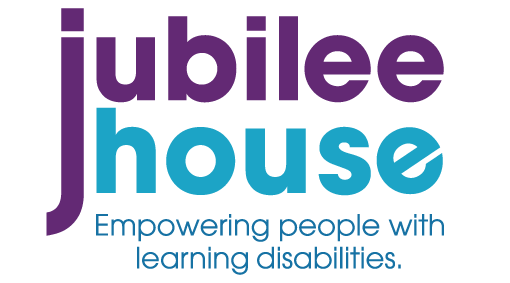 Email us at fundraising@jubileehouse.com. We demonstrate commitment to best practice in our fundraising.